The simplest answer is yes, Social Security is taxable. Whether or not you have to pay taxes on your Social Security benefits depends on your income level. If you have other sources of retirement income, such as a 401(k) or a part-time job, then you should expect to pay income taxes on your Social Security benefits. If you rely exclusively on your Social Security checks, you probably won’t pay taxes on your benefits. Quick Rule: Is My Social Security Income Taxable? According to the IRS, the quick way to see if you will pay taxes on your Social Social Security income is to take one half of your Social Security benefits and add that amount to all your other income, including tax-exempt interest. This number is known as your combined income (combined income = adjusted gross income + nontaxable interest + half of your Social Security benefits). If your combined income is above a certain limit (the IRS calls this limit the base amount), you will need to pay at least some tax. The limit is $25,000 if you are a single filer, head of household or qualifying widow or widower with a dependent child. The limit for joint filers is $32,000. If you are married filing separately, you will likely have to pay taxes on your Social Security income. If your Social Security income is taxable, the amount you pay in tax will depend on your total combined retirement income. However, you will never pay taxes on more than 85% of your Social Security income. 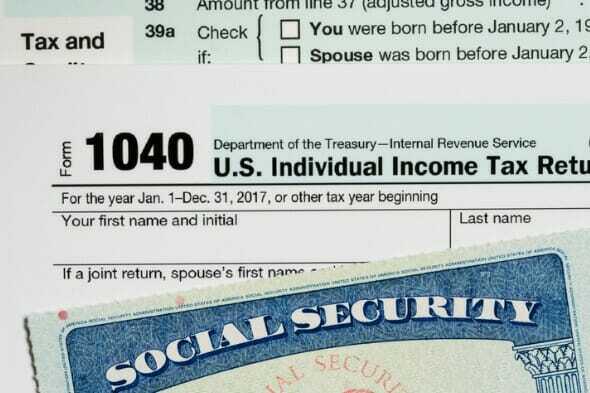 For the 2019 tax year, single filers with a combined income of $25,000 to $34,000 must pay income taxes on up to 50% of their Social Security benefits. 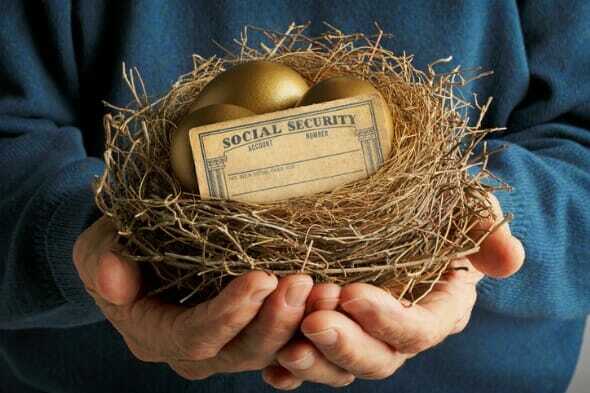 If your combined income was more than $34,000, you will pay taxes on up to 85% of your Social Security benefits. For married couples filing jointly, you will pay taxes on up to 50% of your Social Security income if you have a combined income of $32,000 to $44,000. If you have a combined income of more than $44,000, you can expect to pay taxes on up to 85% of your Social Security benefits. If 50% of your benefits are subject to tax, the exact amount you include in your taxable income (meaning on your Form 1040) will be the lesser of either a) half of your annual Social Security benefits or b) half of the difference between your combined income and the IRS base amount. Let’s look at an example. Say you’re a single filer who receives a monthly benefit of $1,410 (the average benefit in December 2017). Your total annual benefits would be $16,920. Half of that would be $8,460. Then let’s say you have a combined income of $30,000. The difference between your combined income and your base amount (which is $25,000 for single filers) is $5,000. So the taxable amount that you would enter on your federal income tax form is $5,000, because it is lower than half of your annual Social Security benefit. The example above is for someone who is paying taxes on 50% of his or her Social Security benefits. Things get more complicated if you’re paying taxes on 85% of your benefits. However, the IRS helps tax payers by offering software and a worksheet to calculate Social Security tax liability. Once you calculate the amount of your taxable Social Security income, you will need to enter that amount on your income tax form. Luckily, this part is easy. First, find the total amount of your benefits. This will be in box 3 of your Form SSA-1099. Then, on Form 1040, you will write the total amount of your Social Security benefits on line 5a and the taxable amount on line 5b. Note that if you are filing or amending a tax return for a tax year before that’s 2017 or earlier, you will need to file with either Form 1040-A or 1040. The 2017 1040-EZ did not allow you to report Social Security income. During your working years, your employer probably withheld payroll taxes from your paycheck. 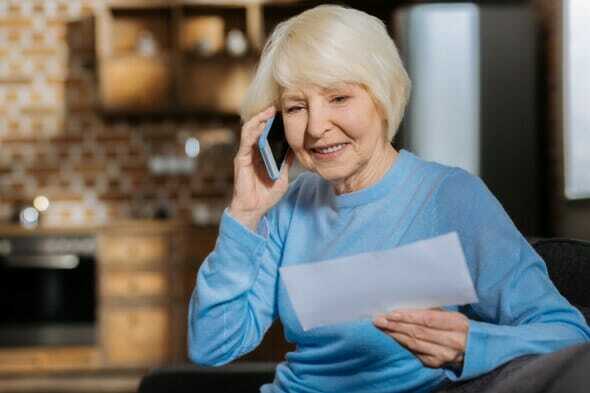 If you make enough in retirement that you need to pay federal income tax, then you will also need to withhold taxes from your monthly income. To withhold taxes from your Social Security benefits, you will need to fill out Form W-4V (Voluntary Withholding Request). The form only has only seven lines. You will need to enter your personal information and then choose how much to withhold from your benefits. The only withholding options are 7%, 10%, 12% or 22% of your monthly benefit. After you fill out the form, mail it to your closest Social Security Administration (SSA) office or drop it off in person. If you prefer to pay more exact withholding payments, you can choose to file estimated tax payments instead of having the SSA withhold taxes. Estimated payments are tax payments that you make each quarter on income that an employer is not required to withhold tax from. So if you ever earned income from self-employment, you may already be familiar with estimated payments. In general, it’s easier for retirees to have the SSA withhold taxes. Estimated taxes are a bit more complicated and will simply require you to do more work throughout the year. However, you should make the decision based on your personal situation. At any time you can also switch strategies by asking the the SSA to stop withholding taxes. If you’re concerned about your income tax burden in retirement, consider saving in a Roth IRA. With a Roth IRA, you save after-tax dollars. Because you pay taxes on the money before contributing it to your Roth IRA, you will not pay any taxes when you withdraw your contributions. You also do not have to withdraw the funds on any specific schedule after you retire. This differs from traditional IRAs and 401(k) plans, which require you to begin withdrawing money once you reach 70.5 years old. So, when you calculate your combined income for Social Security tax purposes, your withdrawals from a Roth IRA won’t count as part of that income. That could make a Roth IRA a great way to increase your retirement income without increasing your taxes in retirement. Everything we’ve discussed above is about your federal income taxes. Depending on where you live, you may also have to pay state income taxes. There are 13 states that collect taxes on at least some Social Security income. Four of those states (Minnesota, North Dakota, Vermont or West Virginia) follow the same taxation rules as the federal government. So if you live in one of those four states then you will pay the state’s regular income tax rates on all of your taxable benefits (that is, up to 85% of your benefits). The other nine states also follow the federal rules but offer deductions or exemptions based on your age or income. So in those nine states, you likely won’t pay tax on the full taxable amount. The other 37 states (plus Washington, D.C.) do not tax Social Security income. We all want to pay as little in taxes as possible. That’s especially true in retirement, when most of us have a set amount of savings. But consider that if you have enough retirement income that you’re paying taxes on Social Security benefits, you’re probably in decent shape financially. It means you have income from other sources and you’re not entirely dependent on Social Security to meet living expenses. You can also save on your taxes in retirement simply by having a plan. Help yourself get ready for retirement by working with a financial advisor to create a financial plan. It may seem daunting to wade through the options, but a matching tool like SmartAsset’s can help you find a person to work with to meet your needs. Just answer some questions about your financial situation and the tool will match you with up to three advisors in your area. What you pay in taxes during your retirement will depend on how retirement friendly your state is. So if you want to decrease tax bite, consider moving to a state with fewer taxes that affect retirees. Another way to save in retirement is to downsize your home. Moving into a smaller home could lower your property taxes and it could also lower your other housing costs. Complement your retirement accounts with a high-interest savings account. Check out the CIT Bank Money Market Account. It offers 1.85% interest (20x the national average) and doesn’t charge any service fees. You can open an account with a $100 minimum deposit.